Yesterday was a beautiful day with a bit of sunshine but most importantly no rain so I headed out to Shukutsu which is a small fishing town just to the North of Otaru. To get to Shukutsu is fairly easy with 2 different bus lines heading out to the Otaru Aquarium via slightly different routes and around 3 buses per hr and it takes about 25 mins from JR Otaru Station. The Shukutsu Area has a few different attractions to choose from including the Otaru Aquarium, Nishin Goten Kihinkan Villa(Herring Villa) and Nishin Goten (Herring Mansion). There is also the Hotel Neuscholoss Otaru which has Observatory Deck, Restaurant and a Onsen with good sea views. The area also has a couple of small restaurants with one place smoking the fish out the front of the shop. 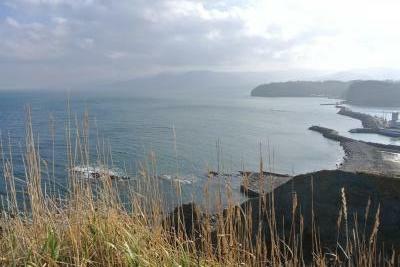 I visited Nishin Goten which is up on the hill, a 5-10min walk from the Otaru Aquarium Bus Stop. It is quite a beautiful building and has been relocated to this spot for preservation. Information in English is limited to a brochure so I don't think I got as much out of my visit as someone who can read Japanese. Either way the area is stunning and on a fine day you get great views down the coast and it is worth a visit just for that. 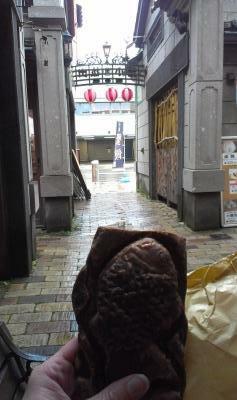 What to do on a Rainy Day in Otaru. Unfortunately yesterday was a fairly rainy Sunday in Otaru (we were wishing for snow) so what else was their to do but embrace the rain and go on a shopping and food adventure. First stop for me was stocking up on everything I could ever need at Daiso (100 yen shop) in the shopping mall just across the road from the JR Otaru Train Station. And then I bought some super cute Mini Pastries that you pay for by weight. They have lots of different kinds like Puff Pastry with Sausage inside and Doughnut Balls and they only cost me around 120yen for 3 so not too bad. Then it was off to Denuki Allay to try some food I'd been eyeing off for a while. Denuki Allay is this collection of food stalls and restaurants just opposite the main photo taking spot of Otaru Canal. Unfortunately half the shops have been closed during my stay but there was still a few options like Ice Cream from a Melon bowl, Takoyaki (Octopus Balls), Crepes and Fried Chicken. I decided to go for the Fried Chicken from the New Naruto stand which apparently is a new addition from a restaurant up near the JR Otaru Station that has been around for years. I chose the Chicken Zangi which was a few pieces of yummy fried chcken with good seasoning. Apparently they are really famous for their half fried chickens. My last culinary adventure was a Chocolate Taiyaki, which is a fish shaped Pancake thing with different fillings and mine was Chocolate inside and out. The food in Otaru is usually pretty great no matter where you find it in my opinion. 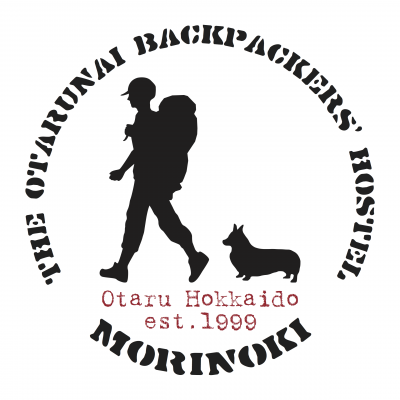 My first blog post from Otarunai Morinoki Hostel as a WHOOPer (Helper). 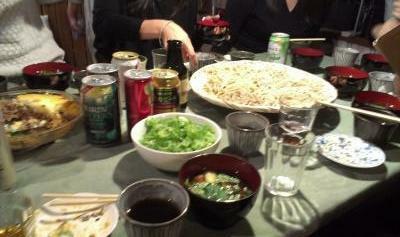 Last night we were very lucky enough to take part in a Soba Party at the Hostel. Masa, the Hostel Owner made his own Soba Noodles that we got to enjoy 3 different ways-in Cold Soup, Hot Soup and Fried. All of the different options were really tasty. We also had some lovely Shepherds Pie (not so Japanese but something I would cook myself from home) that was a first for me trying to eat it with chopsticks and some Chocolate Cake for Dessert. 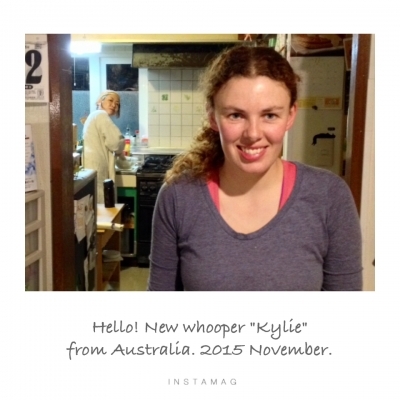 It was a great night with lots of chatting and over coming language barriers to enjoy each others company. I also learnt that the Japanese have a new take on the Stab the Pirate in a Barrel Game that is designed for kids. The idea of the game is to not be the one who explodes the Pirate out of the Barrel but if you are then you get slapped on the wrist with two fingers by all the other players. A much more enjoyable way to play the game. Today the weather is not so great so we will see what I get up to today.